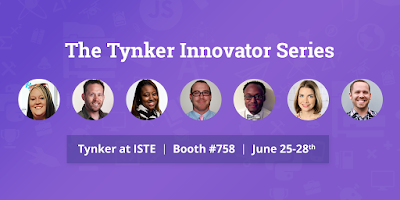 I am so excited to be back at ISTE this year! Last time I was at ISTE I was 8 month pregnant. I'm excited to have a little more energy and many more friends with me with time! 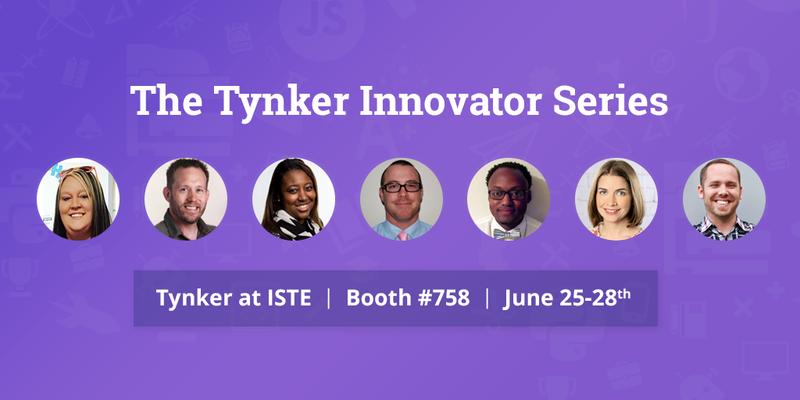 Today I am presenting a 15 minute mini session at the Tynker Booth. They asked the Tynker Blue Ribbon Educators to sign up to do this so I figured I could talk about using "Using Tynker and PBS LearningMedia to go Beyond Hour of Code." They've created this Tweetcard for the conference. I'm also presenting a poster with the very talented Cara Pavek on Tuesday. We were up late last night preparing our poster. We present our poster on using green screen with augmented reality on Tuesday from 4-6. We will be working again tonight to get the finishing touches just right, but we are still having a great time!